By Keith Chow. Cross-posted from The Nerds of Color. Last weekend, at Baltimore Comic-Con, I had the opportunity to run in to several members of the SIUniverse fam in attendance. One of the alums I visited with was artist Robin Ha, who was exhibiting in Artist Alley for the first time. 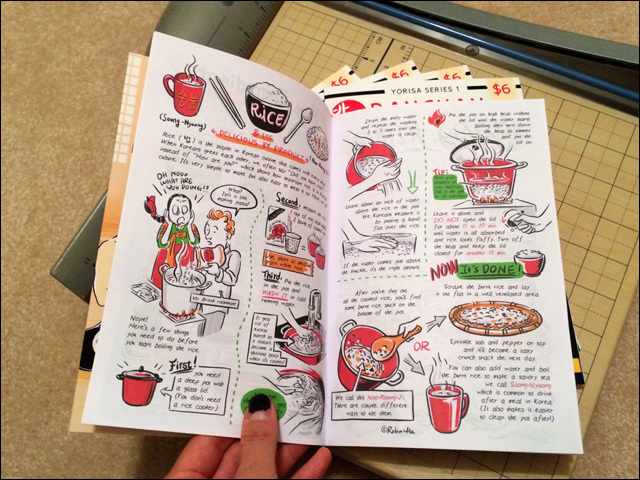 Not only was it great to catch up — however briefly — but it was also an opportunity to get a print copy of Banchan in Two Pages, a pretty cool recipe comic she's been updating on the tumblr of the same name. 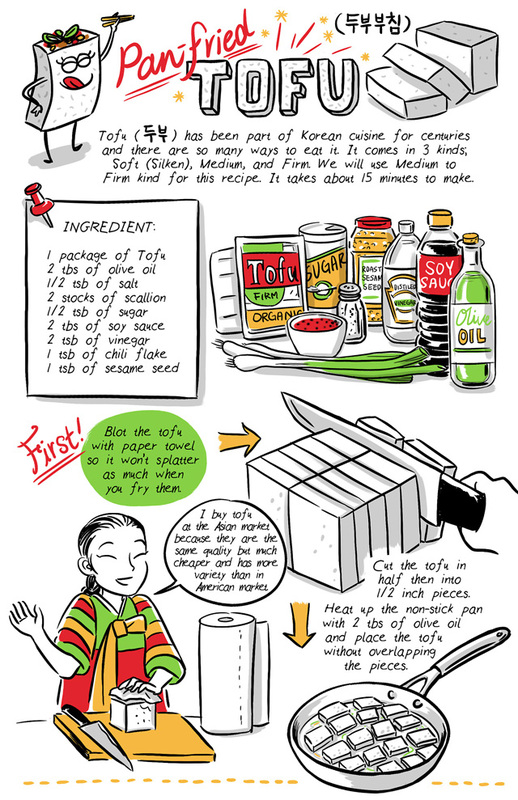 All summer, Robin has been working on this comic in which she uses sequential art to not only teach you how to create Korean side dishes from scratch, but to also open a window into Korean culture and history through food. Along the way, a character named Dengki — and the occasional anthropomorphic vegetable — guides the reader through the ins and outs of prepping each ingredient in a very user-friendly way. That's the other thing about Banchan in Two Pages. 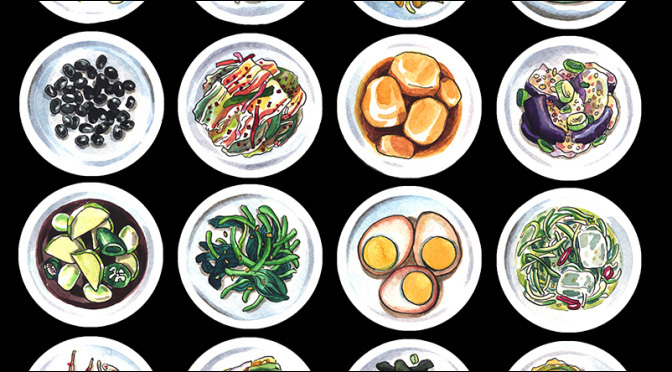 It really does a great job doubling as a beautifully illustrated comic -- I mean, it's Robin Ha, so of course the art is gorgeous -- and as an easy-to-follow cookbook. In fact, if I had one gripe, it'd be that the book is so well done that the kitchen counter is the last place I'd want to keep it for fear of spilling soy sauce all over it (I'm kind of a mess in the kitchen). Hopefully, a cookbook publisher will come along and help Robin print her recipes on sturdy cookbook paper so klutzes like me won't have to worry about ruining the art. Plus, she's just getting started. Now that the appetizers are finished, Robin is starting work on the second volume of her Yorisa Series with a comic that will be full of Korean main entree recipes. In the meantime, you should totally follow Robin on Twitter and Tumblr. And get recipe updates at the official Banchan Tumblr too. Also, if you're still in the Baltimore-Washington area after last weekend's Baltimore Comic-Con, you'll be able to get your own hard copies of the book at table M13 at this weekend's Small Press Expo! This post was originally published on The Nerds of Color.